Milk Chocolate Couverture - The best milk chocolate for eating and melting. Our unique blend of high concentrations of Cocoa Butter gives the milk chocolate Couverture a delightful sheen and rich taste making the it the perfect choice of melting and fine cuisine. Chocolate is a complex food with intricacies not normally seen in other types of confectionery. Milk chocolate is one of the most complex of all chocolate types to make because of the subtle nuances of the ingredient flavors can be lost when combined. The Santa Barbara Chocolate brand of milk chocolate couverture is made using state of the art technology to form very stable Beta Prime Crystals in the pure cocoa butter we use as a base. The Beta Prime Crystal technology combined with exotic cacao and premium milk results in the world's best milk chocolate. The milk chocolate Couverture needs the most advanced chocolate shape to exalt the unique nature. As a result, we have chosen the milk chocolate to be shaped as a Tab. This unique Tab shape is special because we have applied all the science of chocolate making to craft this never before seen milk chocolate recipe. Chocolate Science: The special Tab shape releases flavor through melting in a very a particular way. Better than chocolate chips, Tabs enhances one's chocolate tasting experience. The cocoa bean varieties used in this couverture offer an exotic tasting journey from beginning to end with clear defined points of flavor along the melting path. Tabs complement this tasting journey. They are also easy to grab and eat or to use as inclusions in trail mix, cookies and ice cream. The special varietal cocoa butter used in this unique Santa Barbara Chocolate couverture offers a memorable tasting connection to the original raw cocoa seed itself; as a result, the flavor conjures up tropical rainforests and pristine trees in one's mind's eye. 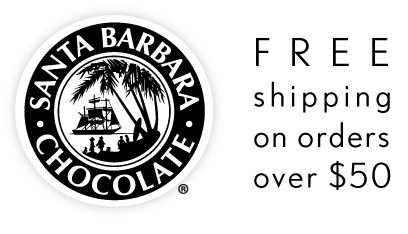 The Santa Barbara brand is arguably the best milk chocolate couverture a chocolatier will use: Fast to Temper Chocolate due to the Beta Prime Crystal Technology, Melting Chocolate Perfection and High Quality Chocolate Flavor. Hidden deep in the rainforest is a rare cacao type considered an exotic flavored cacao. It is an original cacao grown and wild harvested. The Santa Barbara Chocolate Milk Chocolate Couverture is made from this exotic pure cacao. Grown at isolated farms in the rainforest, this chocolate makes it to market through a co-operative that audits all aspects of cacao growing. The co-operative ensures fair market and sustainable local development for the family farmers growing this cocoa and invests back into the local area to ensure a long term sustainable future. Tasting Profile: Bold milk experience, delicate caramel like sweetness with exotic organic cocoa that is mildly acidic and floral, reminiscent of chamomile. GMO Free Milk Chocolate couverture made from exotic cacao and sold in bulk chocolate cases for the best value. Why is Real Chocolate Better than Compound Chocolate? Compound chocolate, also known as confectioner's coating or dipping chocolate doesn't require tempering because it is made with a palm oil in place of cocoa butter. Cocoa butter is in all real chocolate and this is the natural vegetable fat from the cocoa bean. Chocolates with cocoa butter require tempering when melted and reformed to allow them to look shiny and have a nice snap. Compound chocolates on the other hand have the cocoa butter replaced with a palm fat so you melt and work with no need to temper. The downside is compound chocolate doesn't taste as good as real chocolate with cocoa butter. Learn more about chocolate tempering. We use real cocoa butter in all of our chocolates. Made from exceptional quality Grade AA cocoa butter and the best milk, our Milk chocolate is unsurpassed in flavor and quality paying tribute to the taste of the rainforest and its rich chocolate heritage. Pure Cocoa butter (the type found as an ingredient in our milk chocolate) contains antioxidants and offers healthy fatty acids such as stearic acid and palmitic acid. Big milk flavor blended with rich cocoa make for a mildly sweet note and fudge like milk chocolate melting on your tongue. Our bulk milk chocolate is priced at a chocolate factory wholesale price. This is nothing like the grocery store chocolate because all of our bulk chocolate is made using pure prime pressed cocoa butter and it is graded AA. Our custom recipe of bulk milk chocolate makes for a fluid and easy to temper melted chocolate. Please melt below 110F so as not to burn the whole milk powder we have selected for this special recipe. This milk chocolate is perfect at showcasing your recipes or eating straight. Our local professional chefs tell us this chocolate is the perfect compliment to most bakery recipes. We have found it to be outstanding in chocolate fountains (it has a smooth flavor and pairs nicely with all types of dipping items like fruit or cookies). This is the milk chocolate we use as our primary ingredient in our milk chocolate truffles. It is very easy to use when molding, especially fine detailed moulds because of the viscosity and wide range of tempering time without becoming over tempered. Try it straight from the box and see why it is the best milk chocolate according to our customers. Chocolate dipped strawberries are a great way to express your love and bring smiles to everyone's face. Have an at home date night with the whole family hand dipping fresh milk chocolate covered strawberries. Melting chocolate with indirect heat at low temperatures is important (you can use a microwave if you opt for a low power setting and stir frequently). Milk chocolate is best melted below 110F and worked with at 87F for dipping. 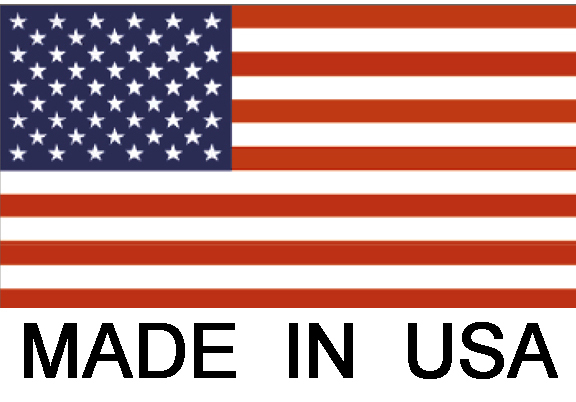 CALIFORNIA CHOCOLATE FLAVOR MADE IN USA USING AMERICAN KNOW HOW AND AMERICAN QUALITY. Milk Chocolate Couverture Ingredients: Sugar, cocoa butter, whole milk powder, unsweetened chocolate, nonfat dry milk, soy lecithin (emulsifier), natural vanilla extract. 3.5oz Butter, 3oz Honey, 16oz Milk Chocolate Couverture Tabs Tempered, 2oz Passion Fruit Concentrate (reduced from 4oz through medium heat boiling). Mix butter and honey very thoroughly. Stream in tempered Santa Barbara Milk Chocolate at 86F mixed well, stream in the passion fruit concentrate and continue mixing. Allow passion fruit ganache to set up and then either pipe into molds, cut from ganache into shapes or roll into balls and dip in tempered milk chocolate. Sugar, cocoa butter, whole milk powder, unsweetened chocolate, nonfat dry milk, soy lecithin (emulsifier), natural vanilla extract. 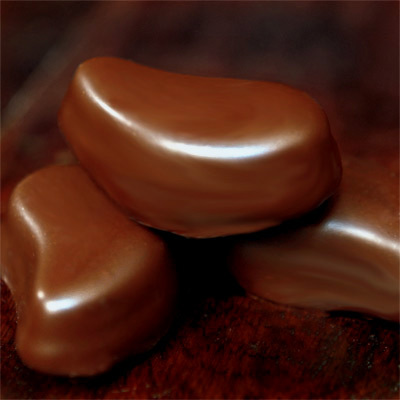 Milk Chocolate Couverture Tabs by Santa Barbara Chocolate are the best tasting and easiest to melt chocolate available. Easy to temper our new chocolate shape introduces many options. The Tabs simply taste better. Use them as inclusions in granola cereal or ice cream. They work like chocolate chunks in cookies and brownies. Milk chocolate couverture has an extra amount of cocoa butter.